As part of our vision we have ignited a massive coffee culture revolution by launching a state of the art #coffeeonthego trailer concept. This is a tow-able trailer that has been pre-fabricated with all specialty coffee amenities like; a 2 group espresso machine, coffee grinder, filter coffee brewer, a fridge, a microwave, and a cake display. In a nutshell we are able to serve an outstanding cup of specialty coffee (Espresso, Latte, Cappucino, Mocha, Flat white) in any outdoor function i.e weddings, corporate events, sports tournament, graduation parties or private parties. 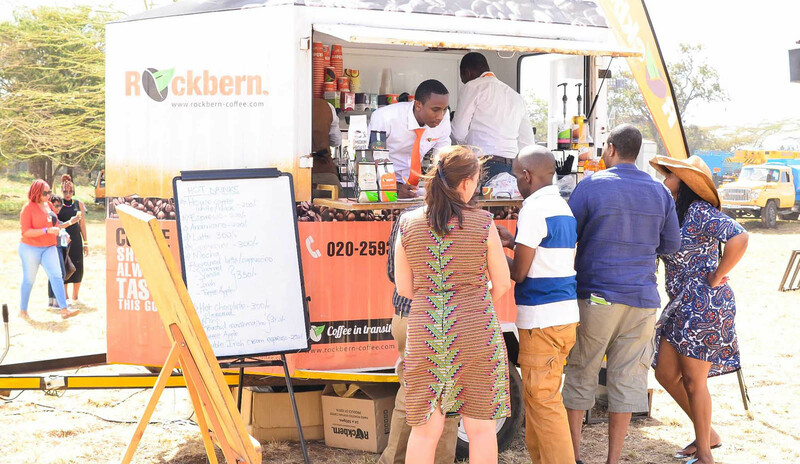 We will deploy the trailer on site accompanied by our two world qualified baristas to brew that outstanding cup of specialty coffee to your guests. To get started please email our events manager info@rockberncoffee.com to get more details and booking.